Lori is located in the northeast part of Armenia and borders on Georgia. The region was named after David Anhoghin who was the founder of the city. 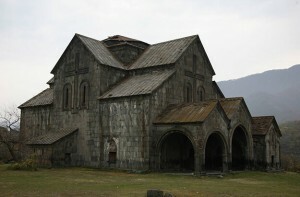 Lori is also famous for its medieval monasteries such as Haghpat and Sanahin. The rivers Pambak, Dzoraget, Debet and Aghstev cross this beautiful region. 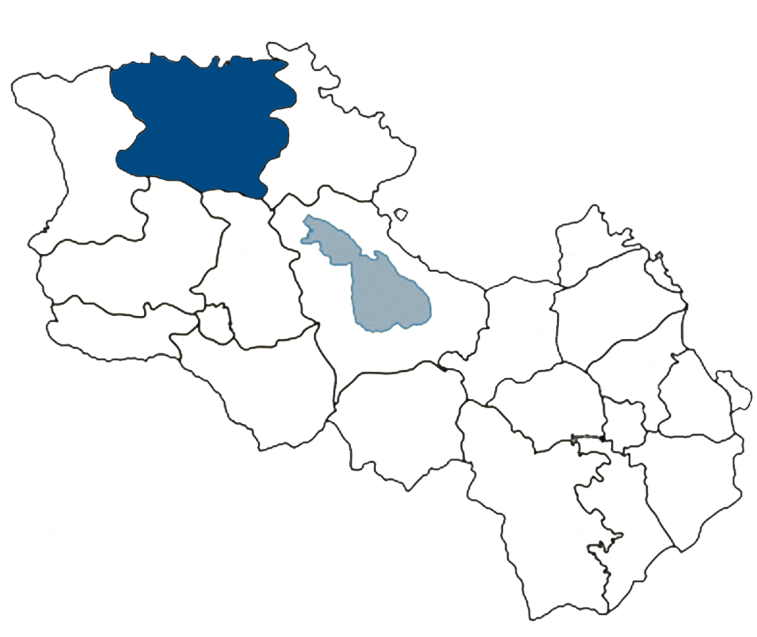 The important towns of Lori are Alaverdi, Spitak, Stepanavan, and Tashir. It is considered to be one of the most beautiful regions of Armenia. The capital city of Lori is Vanadzor, which is the third largest city in Armenia. It is one the largest industrial and cultural center of Armenia. On December 7th, 1988 the terrible earthquake caused serious damage to the city but the love of the people brought a new hope. A hope that helped the city to develop again and now it is considered to be a modern city with beautiful buildings and green gardens. Nowadays Vanadzor is known as the resort city. The other important town in Lori is Stepanavan. It is located 24 km north of Vandazor. It was founded in 1810. Stepanavan has a humid and mild climate. It is known as a resort town. The most famous place of Stepanavan is Dendropark, a unique and the first botanical garden in Armenia. It was established by Polish engineer-forester Edmund Leonowicz. They say miracles can happen here, in Dendropark. If you go there you can find a small wooden bridge, make a wish and then cross and it will come true. Here you can see trees such Siberian pine, Larch Decidua, Sequoiadendron, Magnolia etc. The monasteries of Haghpat and Sanahin are the most popular churches in Armenia and included in the UNESCO World Heritage List. 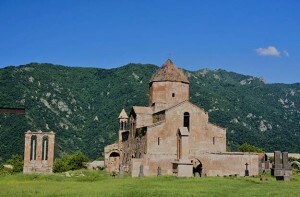 Haghpat Monastery complex was founded by Bagratunies, in the 10th century. 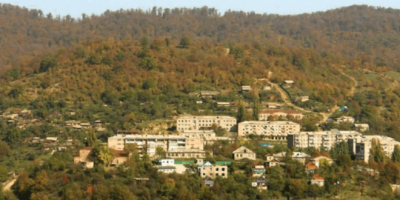 It is located in Dilijan town, Tavush Region. According to historian Kirakos Gandzaketsi the monastery was built in the 10th -13th century.The monastery complex includes four churches Saint Grigor(1244), Saint Astvatsatsin (1281), Saint Katoghike(12th century) and Saint Stephanos(1232), two courtyards, refectory, prayer halls and khachkars(cross-stones). Sanahin is monastery complex located in Alaverdi town, Lori region. Sanahin monastery includes Saint Astvatsatsin and Saint Savior churches with their courtyards, also Saint Grigor and Saint Harutyun chapels, lyceum, writing house, bell-tower and ancestral mausoleums of Kyurikyan’s Zakarian’s. The first church of the complex Saint Astvatsatsin was built in the 10th century. The church structure belongs to cross- domed types of buildings. On the inside walls of the church remained the carved frescoes. They are both unique landmarks that worth to see. If you are in Lori don’t forget to see the temple of Odzun, which was built in 6th – 7th. It is a rare sample of Armenian architecture. Odzun Church is located in Odzun town, Lori Region. The church is situated in the central part of the town. The church of Odzun is one of the early medieval unique buildings that completely preserved the outside look. On the outside and inside walls of the church are lots of carved Armenian recordings. The style of the building belongs to domed basilica types of churches. The church was built in 303-313 by Trdat 3rd and was blessed by Gregory Enlightener. 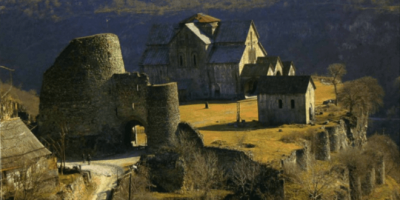 The nowadays look of the church reached us from the 8th century. The Dome hasn’t been changed since the construction of the church. Here are nearly 25 sculpture remained from the 4th century. The most remarkable sculpture is considered to be “The Holy Mother of God with Jesus”. So, here you can escape from hot and humid Yerevan and enjoy the wonderfully mild climate. Vanadzor is the capital of the Lori region. 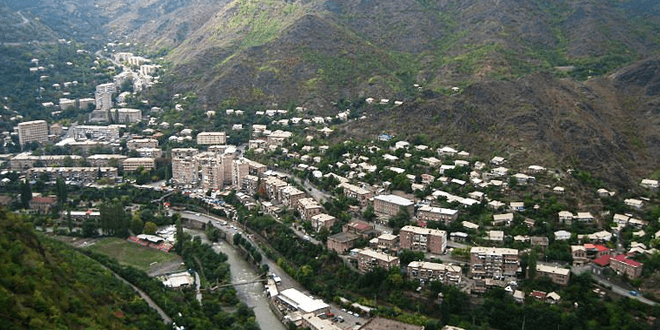 It is the third largest city in Armenia but the industrial, economic, educational and cultural center of Lori. In the past the city's name was Gharachilisa then it was Kirovakan, and now it is Vanadzor. 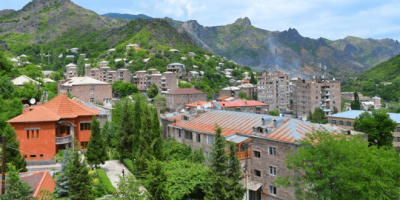 The name Vanadzor is a combination of two words, Van refers to the historic Armenian city of Van(now, in Turkey's area), and dzor means valley. So the name of the city means "Valley of Van". The area of nowadays Vanadzor has been settled since the Bronze Age, the proof of it are the tombs and other historic remains found on the hills of Tagavoranist and Mashtots. The area was considered to be part of the Tashir of Gugark; which was the 13th province of the Kingdom of Armenia. Vanadzor is located in the valley of Pambak River, 1,350 meters above sea level. The city is surrounded by the mountains of Bazum and Pambak. In the southern and eastern regions are forested while to the north and west are covered with bushes and plants. 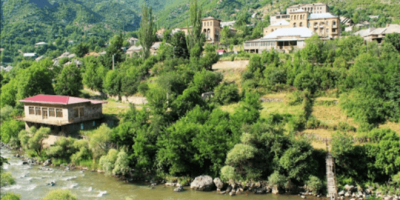 The climate of Vanadzor is characterized by cool summers and relatively mild winters. This city was also damaged during Spitak's earthquake; a lot of cultural, educational and other buildings have suffered from the earthquake. From 1990 the people started to recover the city, rebuild houses and apartments, sculptures and historical monuments. 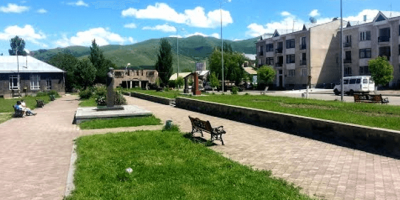 Vanadzor is the cultural center of Lori; it has many churches, lovely parks and historical monuments that you should visit. 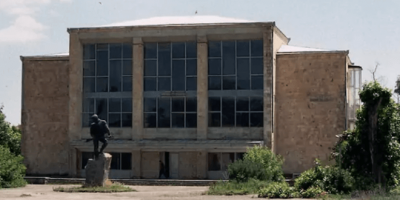 The Vanadzor House of Culture named after Charles Aznavour is one of the largest cultural centers in Armenia. 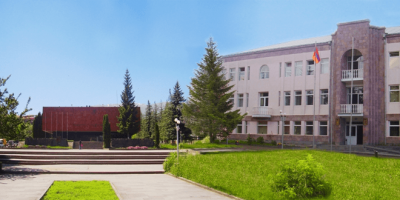 In 1934 was founded prominent art school named after Eduard Kzartmyan. 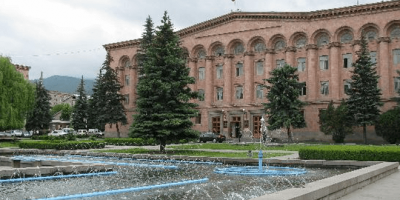 The fine art museum has been working since 1974, there you can see the works of modern Armenian art and nearly 2000 of the piece of art decorates the museum. While the house-museum of writer Stepan Zoryan has been working since 1990. A lovely Hrant Matevosyan’s park is the great place to visit and just enjoy the look of the surrounding trees. There is a nice handmade lake at the center of the city. You can go and just walk around it. The most beautiful church in the city is Surb Astvatsatsin. It is the ancient church with unique architectural style. There is also Russian church which was built by Armenians and Russians. The most popular place in Vanadzor is the Hayq’s square; the most important events of the city are held here. So go and visit this beautiful green city, that will give you great memories. Vanadzor is a resort center in northern Armenia due to its mild climate, clean air and mineral springs. Many hotels and spa resorts are built in the city and the nearby countryside. The Armenia Vanadzor Spa and Hotel Complex is among the most popular resorts since the Soviet times. The city is connected with other major cities of Armenia with a railway and a motorway. Haghpat is medieval monastery complex located in Haghpat town Lori Region. 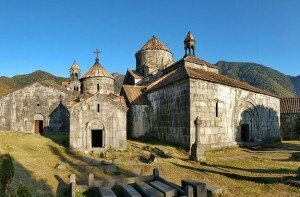 Haghpat monastery was built in 10th century. 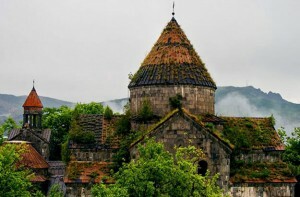 Haghpat was eminent spiritual and cultural center of Armenia.